The Nova died. That was a bad Rs 1000 investment. 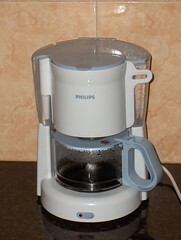 I place my trust (and my Rs 1800) in the hands of the Philips Corporation of the Netherlands. Can you last two months, little helper?